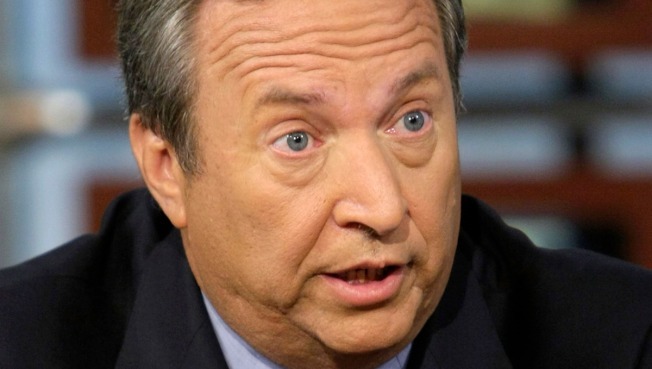 Chairman of the White House National Economic Council Lawrence Summers said that without the infusion of federal money to state and local governments, the country may still face "a vicious cycle of layoffs, falling home values, lower property taxes, more layoffs." WASHINGTON — One of President Barack Obama's top economic advisers forecast Sunday a difficult struggle with Congress over Senate cuts of $40 billion for state and local governments from the administration's massive spending and tax cut package to stimulate the failing economy. The $827 billion Senate version of the plan — designed to bring the economy out of the worst downward spiral since the Great Depression — was expected to pass the Senate on Tuesday. The House had already passed its $819 billion version of the measure. Lawmakers were likely to begin reconciling those differences later this week, with Obama still pressing to have the stimulus measure on his desk for signing by mid-month. But without the infusion of federal money to state and local governments, the country may still face "a vicious cycle of layoffs, falling home values, lower property taxes, more layoffs," said Lawrence Summers, chairman of the White House National Economic Council. Rep. Barney Frank, D-Mass., the chairman of the Banking Committee, chided Republicans for ignoring the outcome of the November election. "We had an election last year which had pretty decisive results in the White House, the Senate and the House. And it did say that public spending for improved infrastructure, to keep bridges from crumbling, to keep cops and firefighters working is a good thing," Frank said. The Senate measure was pared back from more than $900 billion to entice a handful of necessary Republican votes in support of the legislation. The House bill passed without a single Republican vote in its favor, a rebuke to Obama's vow to take the debilitating partisan heat out of Washington politics. Republican Sen. John Cornyn of Texas said he expects Obama's stimulus package to pass the Senate, but he warned that it could damage the U.S. economy in the future. A stark critic of Obama's approach to repairing the badly damaged economy, Cornyn said he believes passing the measure with minimal Republican support must be a major disappointment to Obama. He argued that the president's stimulus package is loaded with pet Democratic spending projects and is "just spending as far as the eye can see." Sen. John Ensign, R-Nev., rejected Democratic criticism that his fellow Republicans were dragging out passage of the bill. "It'll pass this week, but we want some time to go through it, we want some time for the American people to be able to look at it," Ensign said. Republicans claim that Democrats have failed to learn the lessons of history, arguing that an Obama-style stimulus did not work in the 1930s, when President Franklin D. Roosevelt faced similar economic upheaval. Summers was blunt in rejecting the criticism. "Those who presided over the last eight years, eight years that brought us to the point where we inherited trillions of dollars in deficits, an economy that's collapsing more rapidly that in any time in the last 50 years, don't seem to be in a strong position to lecture about the lessons of history," he said. "We need an approach that's very different from the approach that brought us to this point," Summers said. 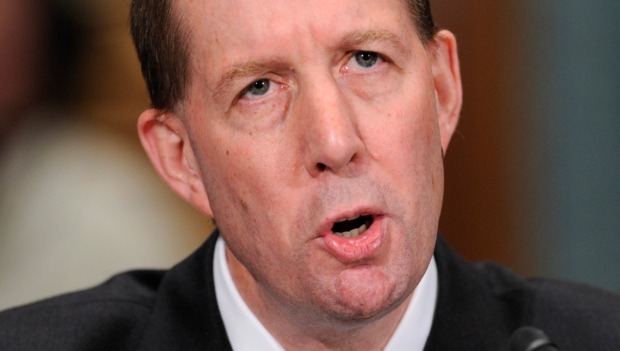 Summers appeared Sunday on ABC's "This Week" and "Fox News Sunday" while Cornyn appeared on the Fox program. Frank and Ensign spoke on NBC's "Meet the Press." Given broad public support in the first three weeks of his presidency, Obama has found himself playing defense over the stimulus plan. Republicans picked the measure apart in both houses of Congress, focusing on portions of it that run counter to the opposition party's philosophical core — small government and lower taxes. The Republicans accuse Democratic colleagues of loading the measure with unneeded pet projects that do not stimulate the economy. In an effort to regain the upper hand, Obama will take his case to the American people this week with his first prime-time news conference on Monday. He'll also participate in town hall-style meetings in cities suffering particularly hard times — Elkhart, Ind., on Monday and Fort Myers, Fla., on Tuesday. Among the most difficult cuts for the White House and its liberal allies to accept in the Senate bill was the elimination of $40 billion in aid to states, money that economists say is a relatively efficient way to pump up the economy by preventing layoffs, cuts in services or tax increases. Still, Obama aides claimed they were satisfied with the results, given the enormity of the challenge. "In a matter of weeks, we moved through both houses of Congress a very complex piece of legislation," Obama senior adviser David Axelrod said Saturday in an interview. "I don't know if there is a parallel in history."